Riding bicycles is one of the purest forms of enjoyment. If you’re like me, you have fond memories of riding as a child, and hopefully as an adult too. However, many people, in adulthood, give up on riding merely because they can’t seem to feel comfortable on bikes. This is especially true for road bikes, and so many road bikes end up for sale after a year, as their formerly-earnest owners can’t stand the discomfort they get while riding. There is a solution to this anguish: fitting! Most discomforts and pains have a solution that can be determined, and in many cases alleviated, through a proper bike fit. Feet go numb while pedaling? Let’s measure and adjust cleat position. Excessive knee pain? Change up your seat position. Sore arms and shoulders? There are numerous solutions to whatever problem you may have. While there are numerous big-name fitting systems out there that many bike shops use, those high-dollar fits might just end up with the fitter telling you what size bike you need and nothing more. Getting fit exactly to the bike while on YOUR bike is a much more in-depth and positive experience. Being able to see and feel incremental changes to your position while on your bike will increase your understanding of why you experienced discomforts in the first place. What kind of riders benefit the most from fitting? Generally, if you ride more than once in a blue moon, you can benefit from a fit, especially if you’re riding a drop bar, triathlon, or cross country mountain bike. If you ride a hybrid or comfort bike an in-depth fit is generally not necessary. Over my years of fitting I have seen many new riders who hang-up or sell a new bike after a couple rides, because they can’t get past the discomforts of their bikes. If they had taken the free fit we offer here with a new road bike purchase, or gone to see a fitter to make sure their bike was setup correctly for their needs and goals, we might see a few more of them on the roads today. It’s amazing what a different seat or different width of handlebar could do for their ride. In the case of triathlon bikes, having an in-depth fit is crucial. Considering that the tri bike isn’t designed for comfort, but going as fast as possible, one can see how uncomfortable a tri bike might be without a proper setup. Working with a fitter to develop a reasonable setup for your high-dollar tri bike might mean the difference between winning, or losing and going on to obstacle courses, crossfit, or getting really into yoga. You know, just jumping around fad activities. Mountain bike racing is exceptionally fun, but takes a major toll on the core muscles with its constant twisting, turning, and testing of your balance. To get the most out of your XC race rig, get a fit! Why put up with discomfort and pain, continue to crash, and not get the most out of your XC bike? Having the right fit will boost your confidence, most likely boost your power output and control, and hopefully propel you to greater successes on the trail. Now, not all the advice given by fitters is pretty. You might need to lose a little weight to be absolutely comfortable. Also, almost every person I’ve ever fit (and myself included) could benefit from having better core strength. Some people lack arm muscle, and you’ve got to hold yourself up while riding somehow. There are always things to be worked on beyond the fit to improve the fit, and hearing it from a fitter may just help kick those improvements into action. 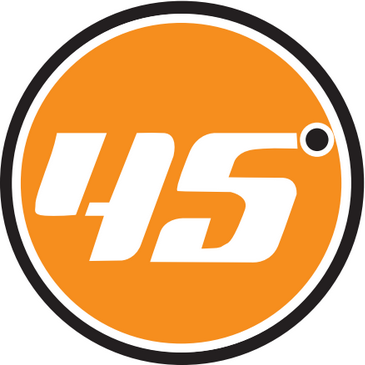 Here at Latitude 45, we have a dedicated fit area, and the knowledge to help set you up for success on your bike. As mentioned before, we offer a free basic fit with any new purchase of a drop bar bike, triathlon bike, or performance cross country mountain bike. If you’d like to get an existing bike fitted, we’re happy to do that for you too. Call us today to get the most comfortable ride from your bike.